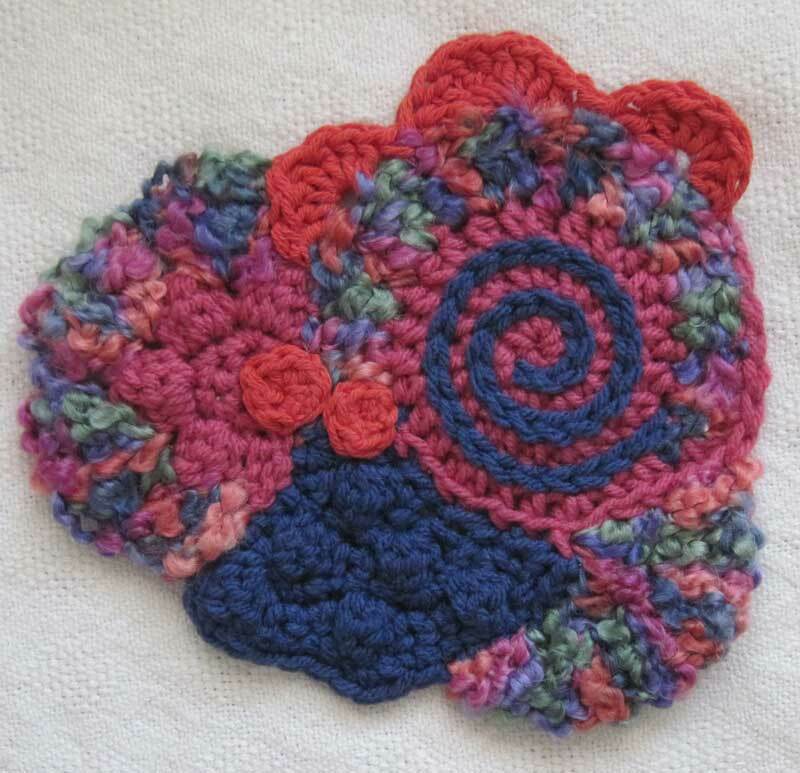 I love to play in free form crochet for art projects. 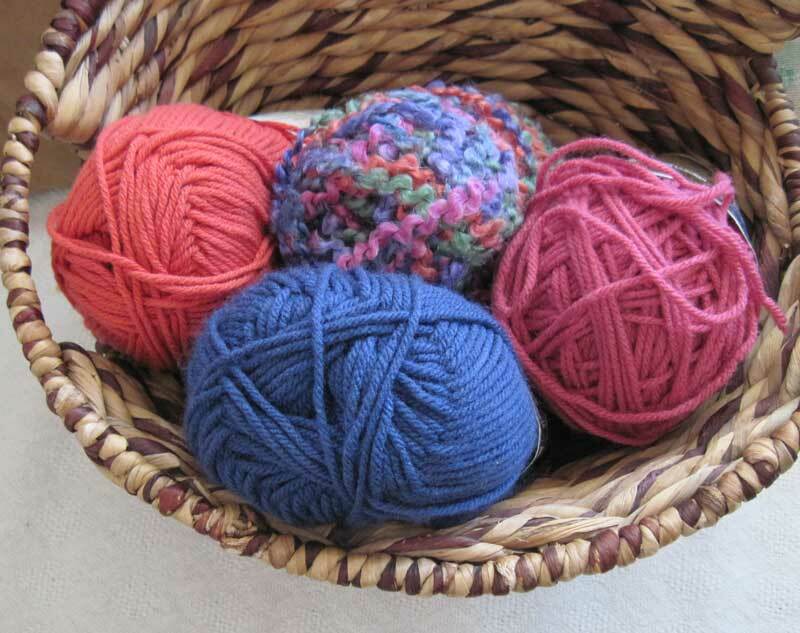 One of the questions I get most often from crocheters interested in trying freeform is about choosing the yarns for a project. But often the real key to a successful freeform project is choosing the colors. I chose the colors for this piece using the advice of the wonderful Jenny Dowde. She said that one of the easiest ways to get colors that play nicely with each other was to choose a multi-colored yarn. Then you find solid color yarns that pick up tones in the multi-colored yarn. I choose some Lion Boucle’ in the Wild Berries colorway for this project. Then picked pink, orange and blue yarns from my stash that matched the Boucle’. 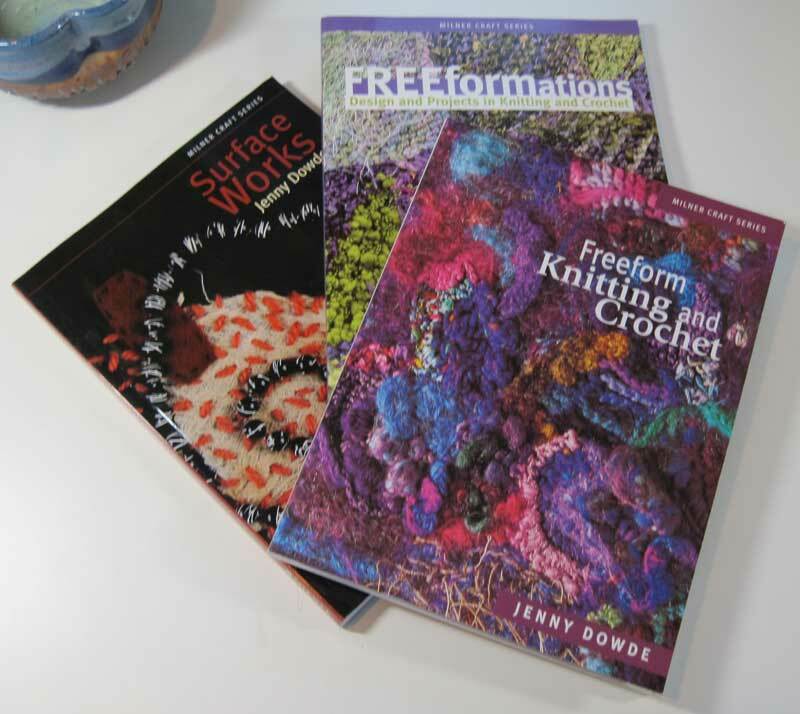 If you want to learn more about Jenny’s approach to FreeForm Fiberarts I recommend getting your hands on her books: Freeform Knitting and Crochet; Freeformations, Designs and Projects in Knitting and Crochet; Surface Works.